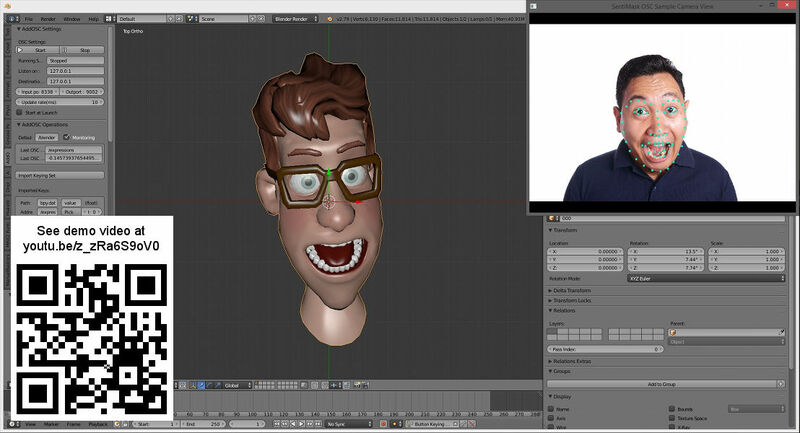 3D model, 3D scanning, smartphone camera, still camera, object model, Blender, SDK, PC, Windows, scangital character facial expression control or mapping animated avatars on users face. Works on common PC with webcam or Android smartphone. Real-time 3D face tracking SDK for development of applications which provide motion capture functionality for 3D character face animation in entertainment applications (games, communication software or instant messengers with animated emoji), augmented reality apps (virtual makeup, appearance change evaluation, mapping animated avatars on a face), as well as facial pose, landmarks, shape and expression estimation and analytics for interactive applications (ads, marketing etc). The technology provides easy integration with other software like 3D modelling software or game engines, as it generates generic data like 3D point cloud and facial mesh, face rotation angles and facial expression. Works on PC with webcam or Android smartphone, no depth sensors or other advanced hardware needed.